WE ONLY HIRE "THE BEST"
Only 10% of applicants are chosen for employment with us. Our caregivers go through a battery of tests and screenings that focus on skills, experience, attitudes and job fit.  "Devotion HomeCare management could not have been more professional or caring with the needs of our aunt. Their carers were exceptional. They were required to start at a very fragile time of our aunt’s fight with cancer and I can not say enough about how great they worked with her and us. I would not hesitate to recommend them to anyone who needs a carer in their home or hospital." "Devotion was professional and caring. Their staff was excellent and provided me with wonderful care." "The kindness and courtesy were extended by their care providers. They exceeded my expectations. This is a wonderful group to be associated with." "Fabulous customer service! My family had some complex dynamics and Devotion Homecare handled everything with complete professionalism. Getting care in place for my mom in place was no easy task, but thanks to Gayla’s knowledge and communication skills, everything was accomplished. Mom’s caregiver was also great, caring and understanding. Highly recommend this agency!" "We contacted many agencies and Devotion stood out from the rest. They were professional, compassionate, extremely organized, and their management team was actively involved at the onset and throughout the entire process. Owners Gayla and Nick were amazing. We feel blessed to have found Devotion and that Rosemarie and Lisa were there to help us through the most difficult of times. Kudos"
Who should we contact to discuss our services? Best time to reach by phone? MD Name, Surgery Center Name or Name of Business? Appointment requests are not confirmed until you receive a call from our office. Devotion Home Care provides non-medical, highly-personalized in-home care solutions to seniors or most anyone in need of care in the comfort of their home.